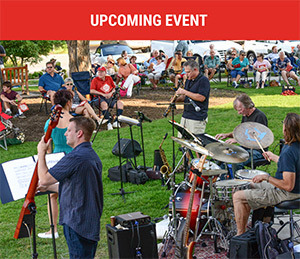 Friday night concerts on the town square are free and fun for all ages. Warm summer evenings are ideal for strolling the town square shops, stopping for refreshment, or enjoying a picnic and glass of wine on the courthouse lawn. The city has beautiful parks and open spaces. City services and local government are managing growth well. New home developments for families are bringing more grocery stores, restauants and shops to choose from. One component of growth includes 3 single family retirement communities, Heritage Oaks, The Oaks at Wildwood and Sun City, TX. Sun City is spreading out, as Pulte, owner of Del Webb, continues to build on recently acquired land adjacent to existing Sun City, TX. The extensive community projects 10,000 homes, within a couple of years. It's a great place to live an affordable resort lifestyle at moderate home prices. Each retirement community has single family homes, geared to different buyers. Of course, as a golfer, I'm partial to my home, where Rugg Realty agents live too, in Sun City, TX. You might think buyers wouldn’t be shopping during the Texas summer heat. Not so. The inventory of homes is up in summer, DOM generally short. I posted pricing stats for June, 2016, and prior months, on my blog. When your 55+ friends and relatives are coming to central Texas, call me, Brian Rugg, brian@ruggrealty.com, 512-966-3200. I'll work with them, providing skilled service with integrity.